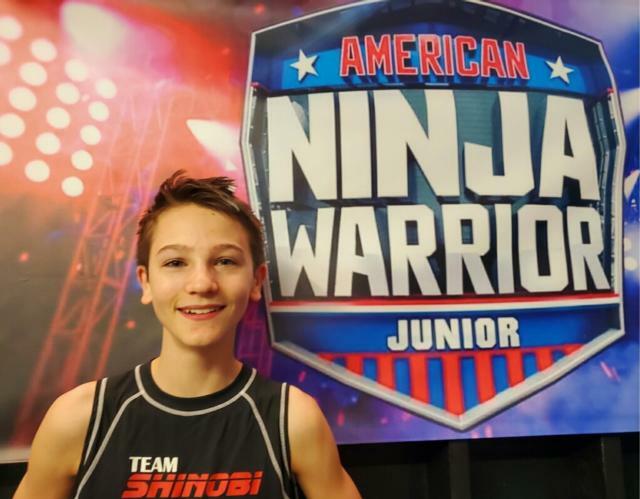 HOLIDAY SHORES – Holiday Shores 12-year-old Tyler Smith narrowly missed passing through the semifinal round of the American Ninja Warrior Junior competition in a taped version of the show Saturday night. Tim Minnick, his personal trainer at Shinobi Fitness in Bethalto, said he was extremely proud of young Tyler and said he expects him to be back in some other type of television competition like this one again in the near future. Minnick said Tyler has also geared for several national events the rest of this year and he sees nothing but success ahead for the determined young Holiday Shores boy. American Ninja Warrior is a competitive TV show on its 11th season. Now airing is American Ninja Warrior Junior, giving younger fans a chance to participate. On American Ninja Warrior, contestants compete on complicated and intense obstacle courses. A test of endurance, athletic ability, and determination. The had show created a craze across the nation, inspiring many to train for their chance onto the show. Many competitions are now held outside of the show. Training facilities and gyms that specialize in American Ninja Warrior style have popped up everywhere, as more and more fans want to participate. Minnick said “determination and perseverance” are the keys to Tyler’s huge success. Minnick said the American Ninja Warrior TV show and the other national competitions have drawn huge nationwide attention to Shinobi Fitness and he is proud of what they are doing to train the young athletes.